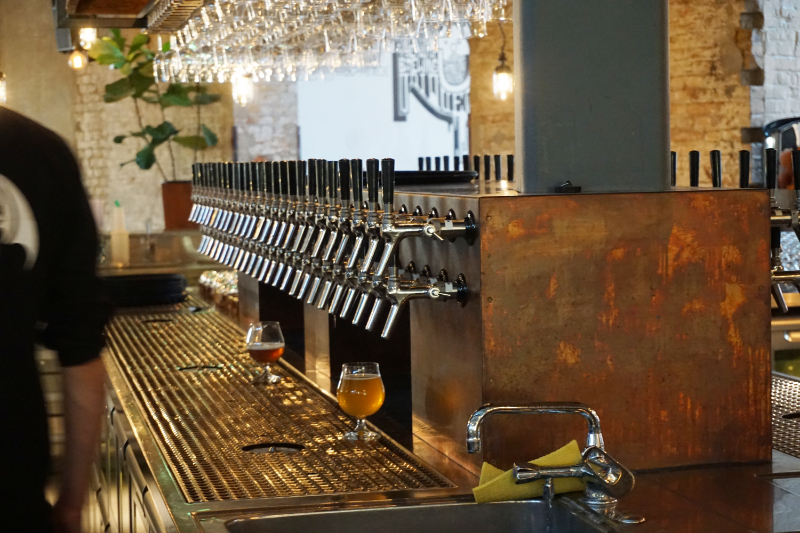 The Stone Brewing World Bistro & Gardens is still an insider tip in Berlin. 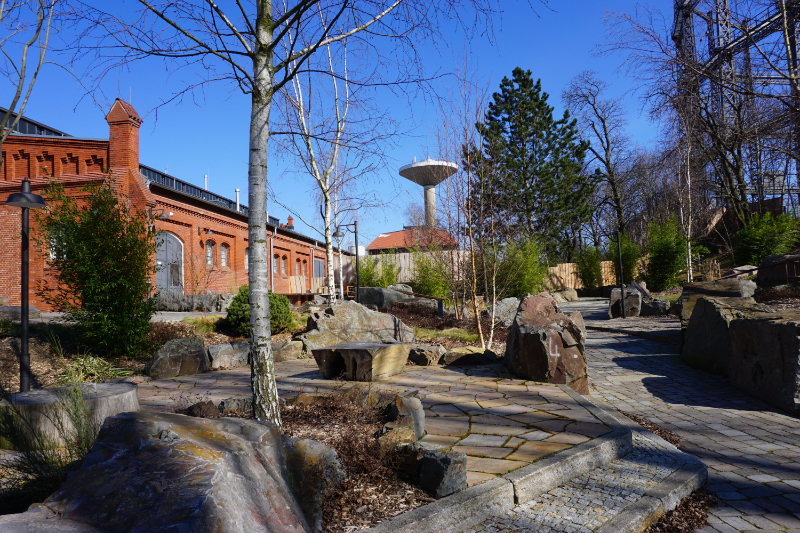 A brewery with a restaurant was created right in the centre of the Marienpark in Berlin. We visited it and were enthused. Greg Koch and Steve Wagner opened the Stone Brewery in California in 1996. By now, their business grew to be the eighth biggest craft beer brewery in the United States. Stone Brewing made a name for itself. A tasty, mostly hop centred beer. This is good beer and its creation is a craft! 130 locations in 9 countries were reviewed and then rejected before Greg Koch and his team made the decision to come to Berlin. 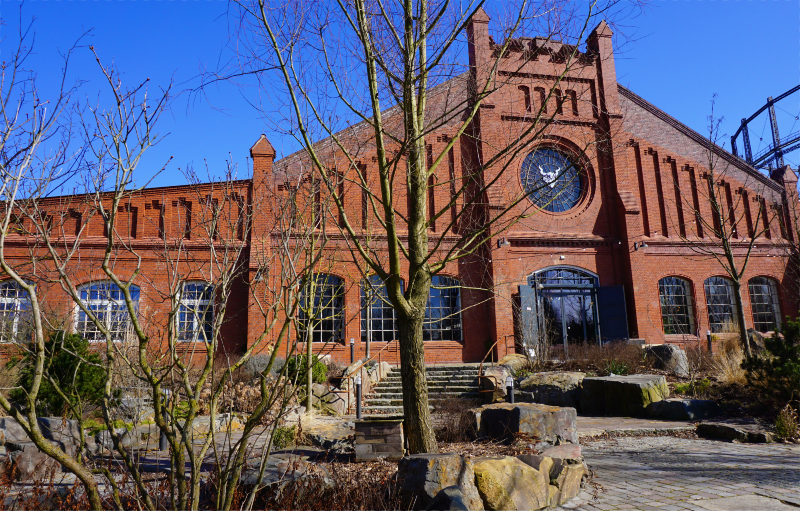 The premises of a former gas plant with its historic buildings offered and still offer the ideal location for Stone Brewing-Berlin. It has enough space for a 100 hectolitre brewhouse, a warehouse for bottling, packaging and distribution, for storage, event venues, a garden and a restaurant. The brewery started operating in 2015 and the restaurant was opened in 2016. What is a visit to a brewery without a tour? Stone Brewing-Berlin also offers regular tours through their brewery that can be booked through their website. On this website, they also state the times and the prices for the tours. We were invited to be part of the 45-minute tour and were led into the sanctuary of brewing: to the brewing kettles! This is where we were introduced to the art of brewing. Which are the essential ingredients of a beer according to the German Purity Law, how are they treated and what must never go into a beer. We also learned a lot about beers that are not brewed in line with the German Purity Law. There are, for example, craft beers, that get their distinct tastes from some special ingredients. These are exactly the beers that are made at the Stone Brewery-Berlin. Down a steep staircase, we went to the silvery, shiny beer kettles of the brewery. 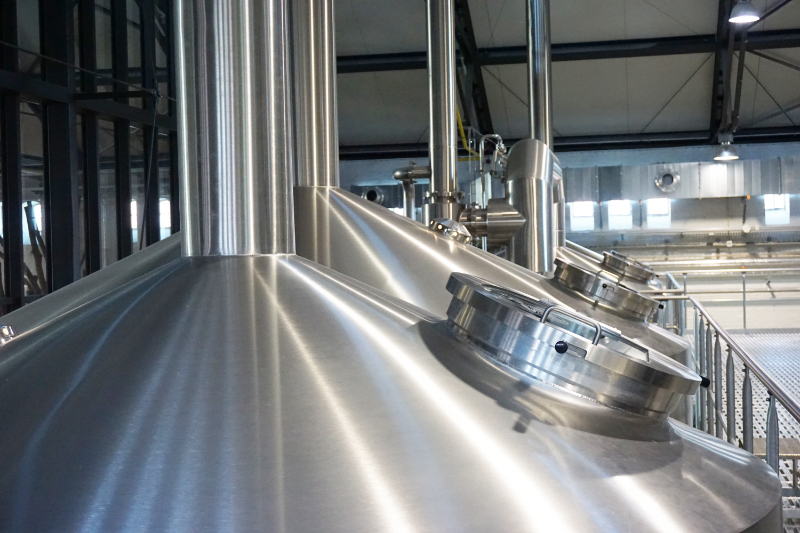 Every kettle has its own special function in the brewing process – and only after the beer has undergone the process that lasts multiple days it can finally be bottled. 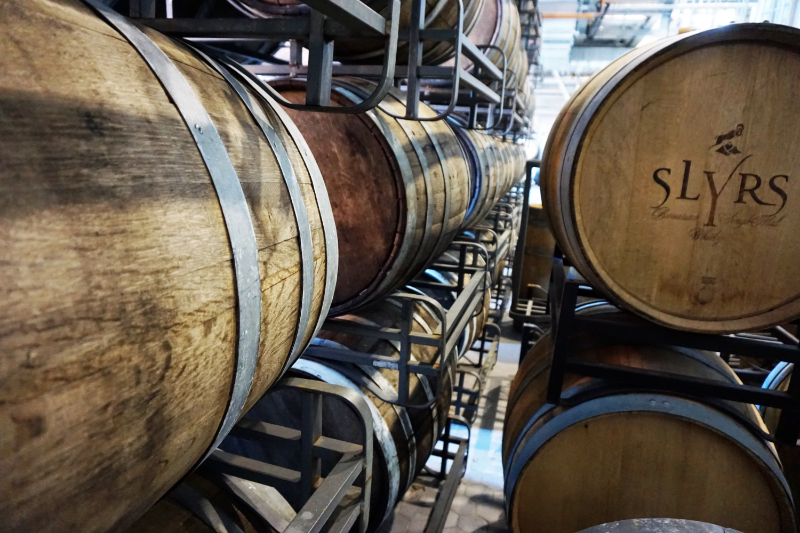 The speciality of this brewery is that it does not only fill the beer into bottles, cans or metal barrels, but also fills it into wooden barrels to let it mature. The barrels were filled with alcoholic beverages before and their smell and the taste of the wood become part of the beer. The beer develops a special aroma. The first brew of this brewery was started in 2015 and the annual production volume is around 35.000 hectolitres these days. 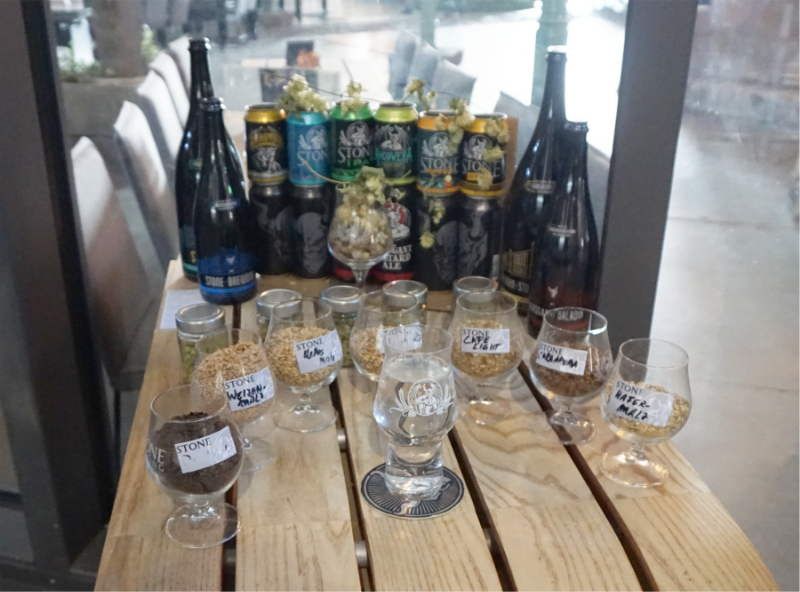 The end of the tour is, of course, a beer tasting to get to know some of the specialities of Stone Brewing-Berlin. A 2400m² restaurant was opened in 2016 under the name Stone Brewing World Bistro & Gardens – Berlin. It doesn’t look like a typical brewery to me. The guest room is large, well lit and in a modern design. Little arrangements of very comfortable seats and tables in different sizes are cleverly dotted around the room. Trees and artificial lawn evoke the feeling of sitting in a beer garden. In warmer weather, an actual beer garden is set up in front of the building so that everyone can find just the right spot for them. I am excited about the giant beer tap at the bar. Up to 75 different beers go into the customer’s glasses straight from the tap. The selection of beers from the tap changes almost daily. There are seasonal beers, guest beers from other breweries and of course the typical Stone Beers. Checking the menu on the day of our visit got my beer-loving heart beating a little faster. I found Pale Ale, India Pale Ale, Belgian beers, sour beer, herb beers and dark beers. Good thing that glasses as small as 0.1l can be ordered; that makes it easier to taste more. A good beer goes well with good food. The menu at Stone Brewing World Bistro & Gardens Berlin is very varied. 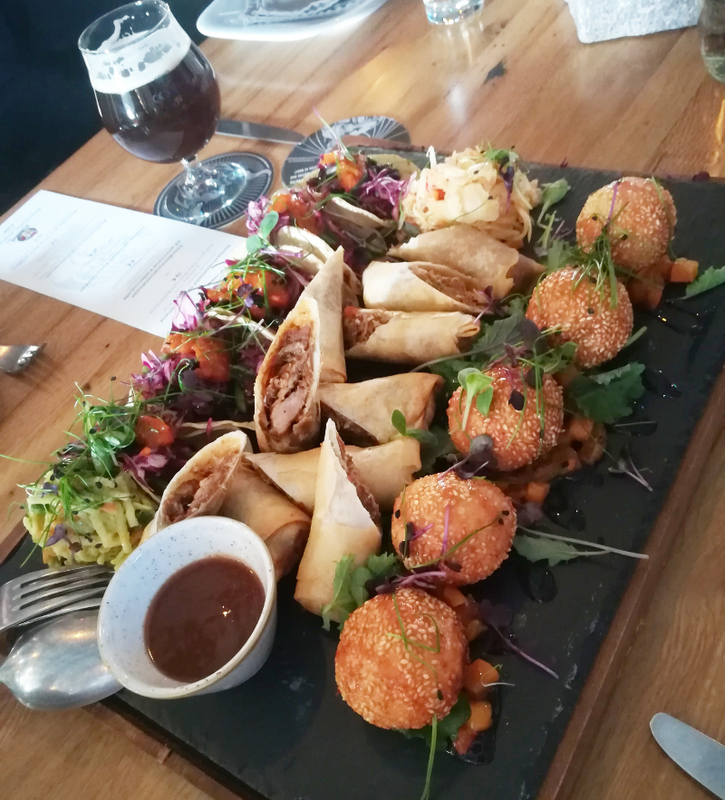 Starters like BBQ Pulled Pork Filo Dough Spring Roll or Stone Style South American Ceviche are on the menu. The mains are like a journey around the world – from Fish & Chips to Korean Style Pork Ribs with apricot: only the most exciting dishes make their way on to the menu. We got to try a few dishes and I was happy with them. It’s not the standard brewery food that can be very greasy and heavy at times. We were served balanced meals of high quality. We liked it! A special project premieres at Stone Brewing - Berlin in 2018: Klassik@StoneBerlin. Starting in March 2018 a mix of opera, jazz, folk, cabaret, Latin American or baroque music can be enjoyed together with craft beer and delicious food. We got a little sneak peek into the project Opera@Stone. 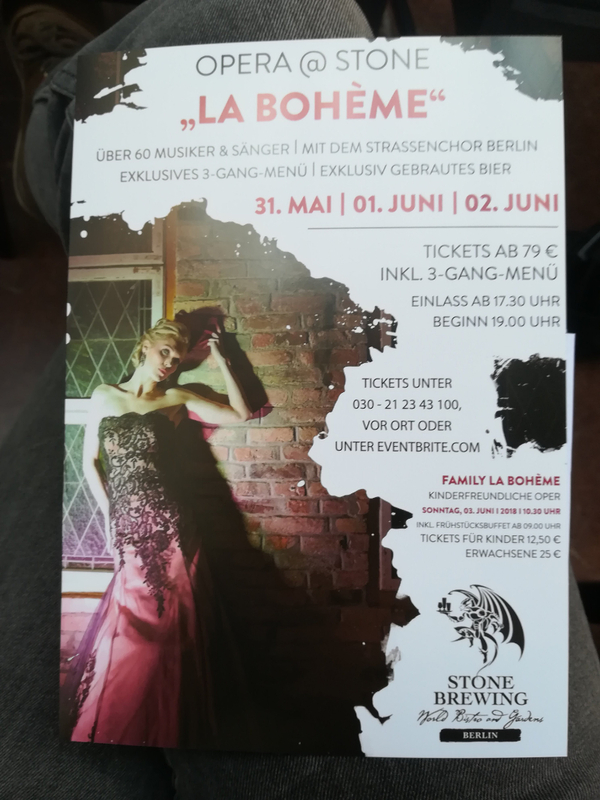 From late May to early July the opera “La Bohème” will be on stage. The plan sees more than 60 musicians and singers from the Berlin Street Choir involved, directed by Andrew Dickinson and conducted by Elda Laro. During our visit we got to learn about the origins of the project and we heard 4 fantastic singers perform pieces from the history of opera. I am still amazed by this little taster that we got to enjoy before we get to see the actual show in the future.